Last year, on Shrove Tuesday, an atheist pupil of mine excitedly confronted me to say that they were not only attending a pancake party with their friends, but were giving up X box for Lent. Perhaps this is not uncommon for young people, but this particular pupil had been going hammer and tongs with me on the problems with organised religion in a recent lesson, so it took me aback to some degree. So I marvelled at this pupil’s apparent revelatory experience and asked what the inspiration for this activity had been. Perhaps, I thought, that my lesson on the meaning and significance of Lent had reached him in a deeper, more spiritual way than the learning objectives intended. It turned out to be an obscure hero on social media that had employed a ‘click bait’ technique, to reach their followers, which involved giving something up for Lent (I find this an interesting secular parallel to the part Jesus had in role modelling to his own followers). This sparked a wider analysis of the issue for me. Perhaps Lent is for the masses? Lent, an incredibly important time in the Christian calendar, can be (or is) accessed and shared by all. This is a time of year which contains special importance to the calendar and so to religious and non-religious people alike. To be clear, I am not suggesting we all fast or pray. I am just stating that, like Jesus in the desert, we all tend to mobilise ourselves for important times to come. I went about creating the assembly/form time style PowerPoint focused on the modern and non-religious focus of Lent. This is a good resource to use in form or assemblies and I have used it in religious studies lessons too. The focus is on how this time of year is one of quiet and personal focus and this is reflected, in education, with preparation for examinations. The most obvious correlation is something that is fitting to draw to the attention of our charges and could be the key to support parents when they are trying to prise their offspring away from distractions or temptations in order to focus their mind on revision. Lent could be the ‘carrot’ instead of incessant and hopeless nagging, coaxing or punishment by way of the ‘stick’. The work load for teachers climaxes this term and it can seem impossible to fit more into our lives. In the same way, colleagues have often mentioned the removal of ­wine (sometimes just midweek), beer, chocolate or other temptations from their routine in order to purify and cleanse. To prepare the constitution for the coming of the most important time of the year. Perhaps offloading excess is a valuable necessity. The idea of giving away 40 unwanted items from your house in 40 days is a good example of this idea in practise. Perhaps this can be incorporated in a whole school charity/ethos activity in time with the spring clean? The 40 acts challenge is another good place to look for ideas. Religious studies is a subject that still has an incredibly important whole school responsibility. I hope this is never lost on strategic management teams in our country’s education system. 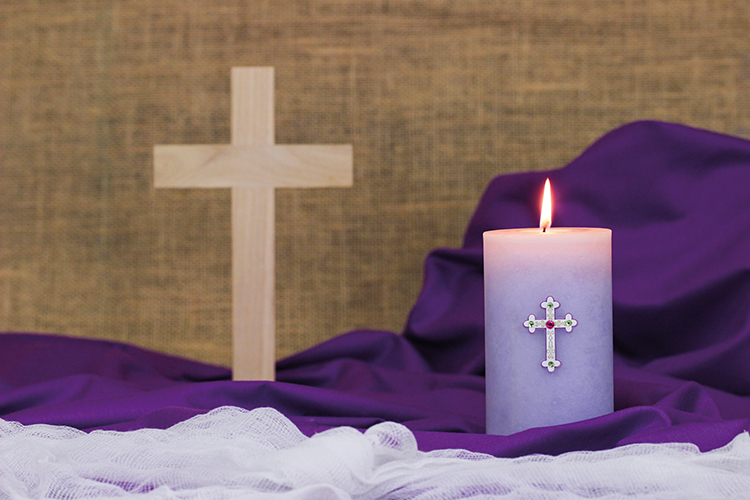 Christians observe Lent to remember and share in the abstinence of temptation Jesus undertook for 40 days and nights. The preparation in view to the future is also fundamental in this ritual. This symbolic observance can hold a message for all involved in education. Not just religious believers or educators. Teachers, parents and pupils should all not forget the significance and power that reflection and focus can bring at this time of year. Find more of Teacher of Thoughts teaching resources here.